Euro 2016 had its ups and downs but will definitely be a tournament to remember. There was a lack of goals, fanatical fans (good & bad), under-par superstars and of course the ‘Victorious Vikings’! Throughout Euro 2016, there were 51 matches, 108 goals were scored at an average of 2.12 goals per game. Not the best average compared to previous Euro 16 results. Euro 2016 football came to an end with Portugal emerging as surprising champions and the hosts and favourites France suffering heartbreak in the final. Before the tournament began there would not have been many people who could foresee Portugal winning the trophy. The tournament was dominated by mostly defensive underdogs, who effectively achieved the right result. The success of underdogs is highlighted with Iceland beating England, Croatia topping a group with Spain, Wales reaching the semi-final stage, Hungary qualifying for the knock-out stage and Portugal winning the whole tournament. These teams showed that team spirit, cohesion and excellent tactics prevailed. The tournament began with lackluster, drab defensive games but as the tournament opened up the goals began to fly in. Still it perhaps was not the most exciting tournament in recent memory but it captured the attention of football fans for a month. France was the best team in this respect with 1.86 goals every game followed by Belgium and Wales. France also created the most chances along with Portugal with Germany and Belgium following closely behind. Germany, Spain and England were teams that dominated possession but lacked a cutting edge. Spain were the best passers with Iniesta and Fabregas the best exponents of the art. The tournament will also be remembered for superstars that didn’t quite live up to their billing, reputations or exorbitant salaries. Players like Ibrahimovic, Lewandowski, Rooney, Muller, Kane, Pogba and Ronaldo all under performed. It is fair to say that Austria, England and Russia were the worst performing teams in comparison with their expectations and they did not perform well. This once again highlighted the flaws in England’s management system because they had one of the most dynamic, youthful and talented squads but Roy Hodgson found a way to lose against Iceland. Bad decisions are what cost them. England lacked a cutting edge and especially against Iceland a proper Plan A and Plan B. I wonder if the newly appointed England manager, Sam Allardyce, will fare any better? The home of Euro 2016 on BBC Sport online. Includes the latest news stories, results, fixtures, video and audio. Goal of the Tournament- Xherdan Shaqiri - bicycle kick against Poland. Moment of the Tournament- Iceland beating England. Iceland’s Viking Clap was copied by many teams – loud, frightening and intimidating! Is this your Team of the Tournament? 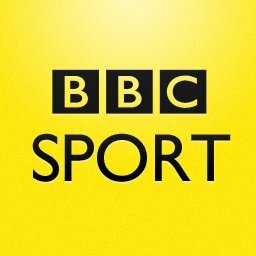 Joe Allen, Renato Sanches, Luís Carlos Almeida da Cunha (Nani), Eden Hazard, Hugo Lloris, Bonucci, Kevin de Bruyne and Alvaro Morata. Euro 2016 is over and now the transfer mayhem begins, with clubs throughout the world paying crazy prices for those that performed well in the tournament. Who did you support at 2016 Euro football tournament? At Postbox Shop, we can print your country or domestic football team logo or flag upon your own bespoke letterbox designs letterbox. So why not ‘Show Your Colours’ at Postbox Shop? Take a look at our new and exclusive range of personalised letterboxes and prints! You draw it and/or provide the text…we’ll print it. PERSONALISE YOUR LETTERBOX…NOW! 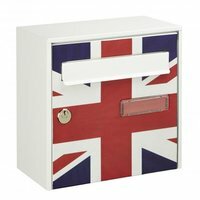 As standard, currently we supply a Union Jack letterbox, Tartan letterbox and London Underground letterbox. However, perhaps you want your unique company logo, favourite football club, national flag or country crest printed and displayed proudly on the front of your letterbox? Anything is possible with our bespoke letterbox designs. Whether promoted or relegated, whether Portugal, England, Iceland, Manchester United FC or Birmingham City FC, Postbox Shop can help you to Show Your Colours. Please view our personalised letterboxes and other letterboxes for dimensions and features. We conform to British & European Standards (BSEN13724) and are Royal Mail compliant.